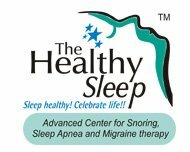 Sometimes snoring is sign of ill-health. It may upset your partner. 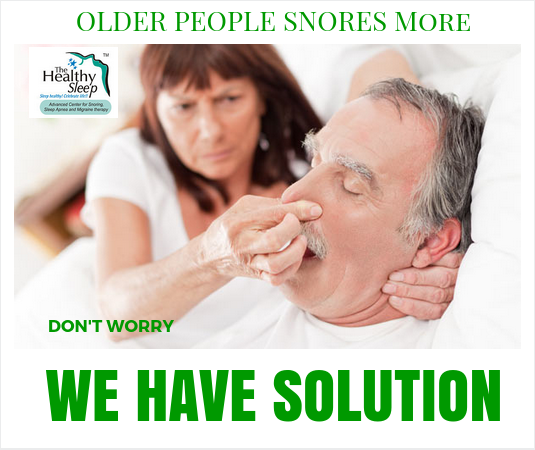 Snoring becomes worse as you get old. About 40 percent men and 24 percent women suffer from snoring. 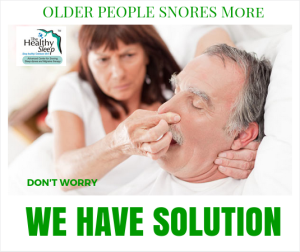 Snoring increases as age increases. This is because people weight gain, especially around the neck, as they age. Throat becomes narrower. Therefore air flow to body will be less, hence snoring increases. Arthritis, joint inflammation and other health issues treatments gain weight. Muscle tone will decrease as you age, hence throat muscles becomes flabby and causes snoring. Snoring may be sign of ill-health. Obstructive airway is indication of sleep apnea. Don’t take snoring lightly, treat it as early as possible.